The coming of fall is a holiday itself: the stocking up of all the pumpkin-inspired candles, throwing open the windows at the slightest hint of cool in the air, dressing in your coziest cardigan and scarf. Also included in the onset-of-fall celebrations: all the pumpkin goodies. 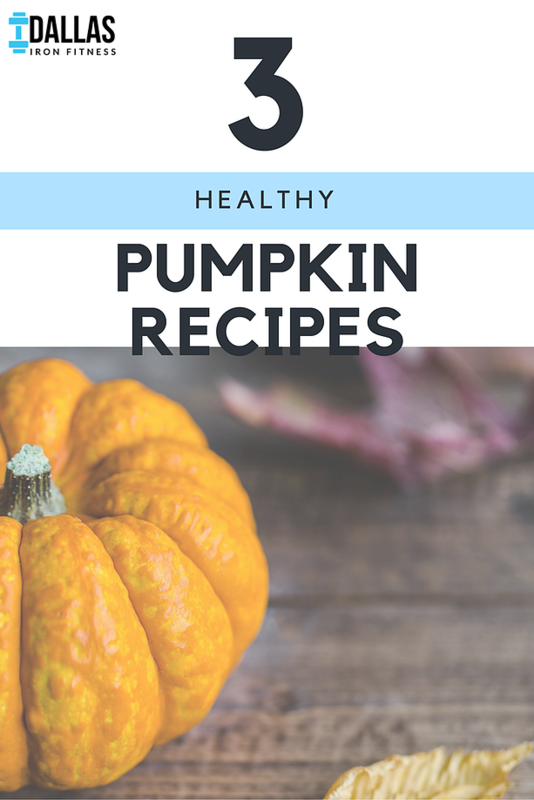 We’ve rounded up 3 pumpkin recipes that won’t throw your healthy eating habits completely out-of-whack. So go ahead: indulge in fall. This flourless pumpkin bread is perfect for all you Celiac and gluten-sensitive babes. With just 6 ingredients and naturally sweetened with maple syrup instead of added sugar, you can’t go wrong with this pumpkin bread. Find the recipe here. Pumpkin pie smoothie?! HOLY FALL GOODNESS. Begin your morning with this quick 15 minute workout and then whip up this mouth-watering smoothie for a post-workout energy boost. Find the recipe here. These no-bake pumpkin oatmeal bites are the perfect snack for running between the office and your afterwork trip to the gym. Plus, you can make these in 10 minutes or less. Pumpkin + good for you + easy to make… the perfect recipe for fall goodness. Find the recipe here. For just $30/month (yes, you read that right) get 3 workouts per week sent directly to you. Get fit in your own home, on your own time.